Alan Yates at Sea Angler magazine. 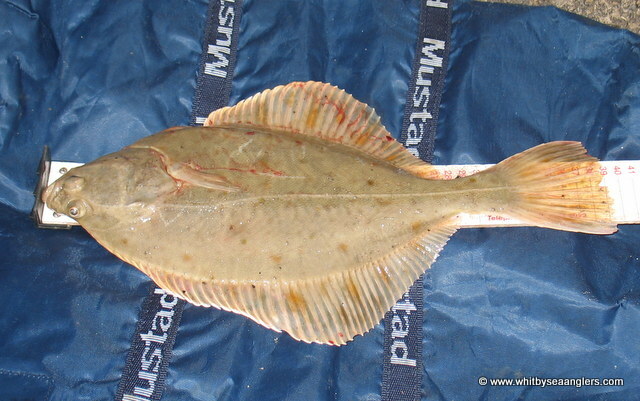 Eighty six adults and four junior competitors fishing Whitby Sea Anglers Association’s 34th Annual Open Match, from 10.00 - 16.00 hrs with low water already past 09.33 hrs 1.1 metres. 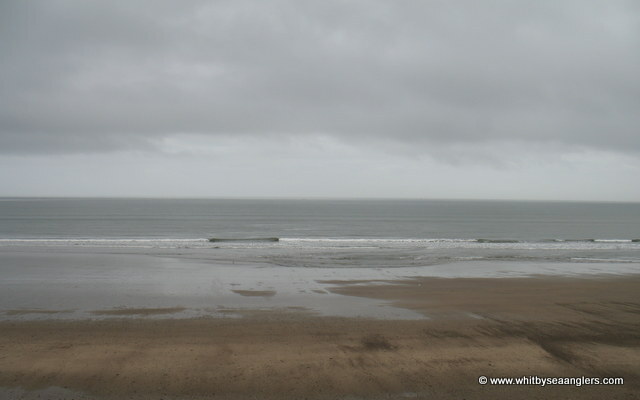 With very little residual long distance swell left from earlier in the week, the sea state was poor with competitors reporting varied water states from crystal clear to milky, with some marks still thick. The sea state did grow slightly as the flood took hold but out paced itself, which lead to periods of calm. There was a gentle westerly breeze which blew a heavy rain storm further out to sea off Whitby, followed by bright sunshine. 1033 mm Hg on the barometer. 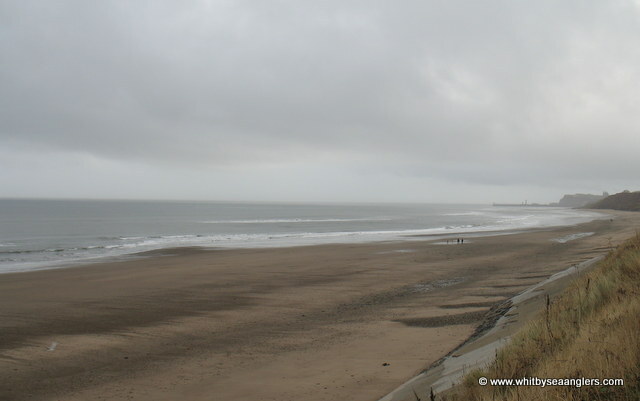 With open boundaries from Skinningrove Beck to Coble Landing, Filey competitors, like last year, were scratching and seeking a tidal mark where possible. 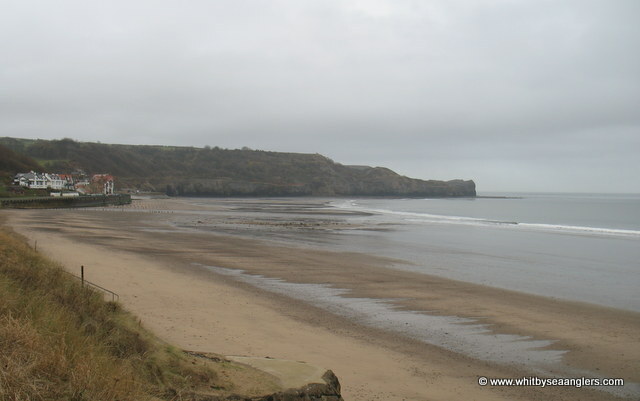 Marine Drive was a popular choice with anglers reported as shoulder to shoulder. 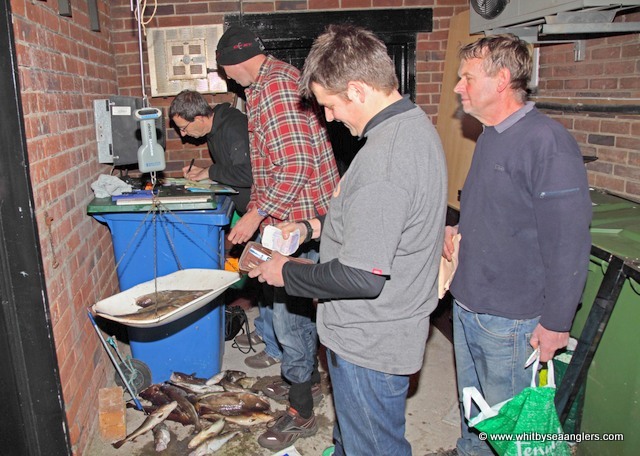 Weigh masters, Bernard Vasey & James Gilpin were kept busy at the scales as 42 anglers weigh-in 130 fish comprising of 83 codlings, 31 wrasse, 12 flat fish, 1 blegg, 1 billet and 1 bass, for a total weigh-in of - 214 lb 15 oz. 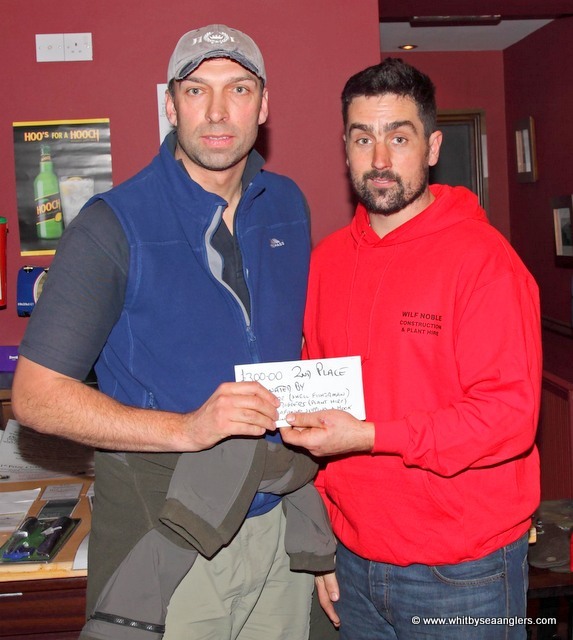 Congratulations to Ian Thompson from Scarborough overall winner with 7 codlings & 2 wrasse for - 14 lb 05 oz, who received £500 from James Noble on behalf of Wilf Noble Construction and Plant Hire, Ruswarp. 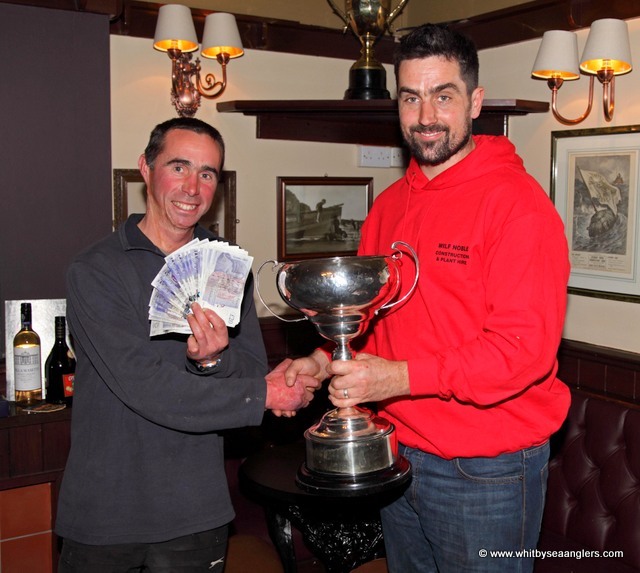 Pete Dunn from Scarborough, Nee ‘Neptuned’, the 2012 Open winner again hooked the Heaviest Fish of - 6 lb 08 oz and Whitby Sea Angler Association member Matthew Garbutt hooked the second Heaviest Fish of - 6 lb 07 oz. No ladies entered the match and there were four juniors competing but none were fortunate enough to weigh-in. 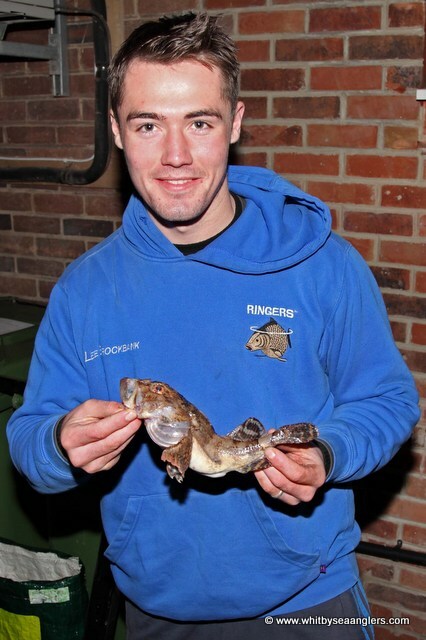 The Special Prize of £50 for 17th place sponsored by Java was won by Robert Taylor from Whitby with 1 codling & 1 wrasse for - 5 lb 08 oz. 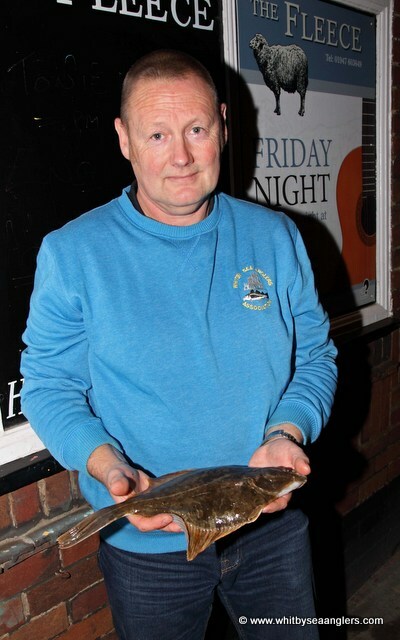 The Special Prize of £50 for the Heaviest Flat Fish sponsored by Mike Beedle Building Contractor was won by Whitby Sea Angler Association member and Club Secretary Peter Horbury with a good flat fish of - 1 lb 05 oz. 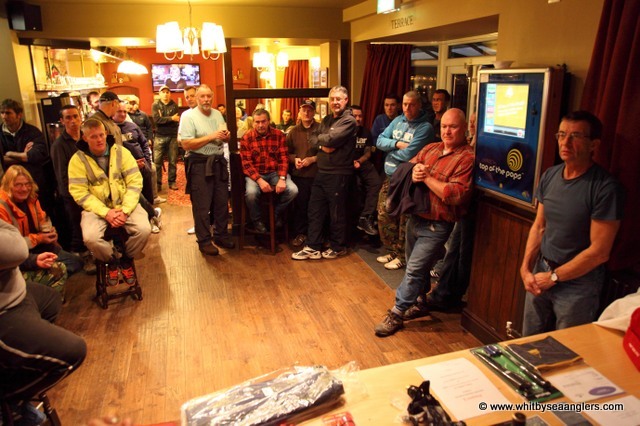 The last place prize of £25 was not claimed and was put onto the raffle table. 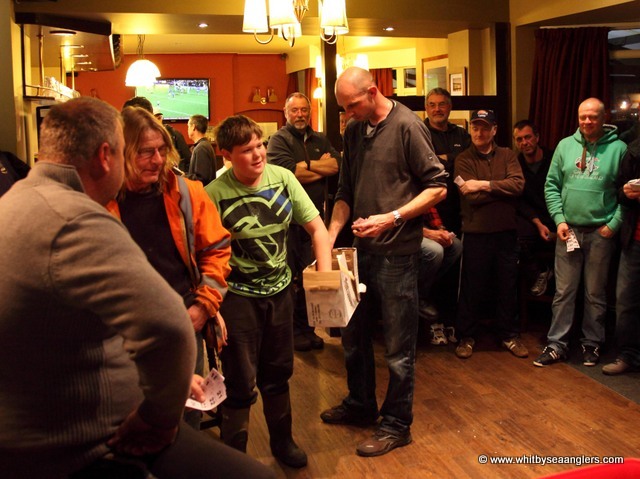 The Lucky Ticket Draw, for those who unfortunately did not weigh-in winners included James Gilpin, Paul Dryden and AN Other. Apologies from WSAA for the delay with the prize giving as the food took longer than expected, but was well worth the wait. 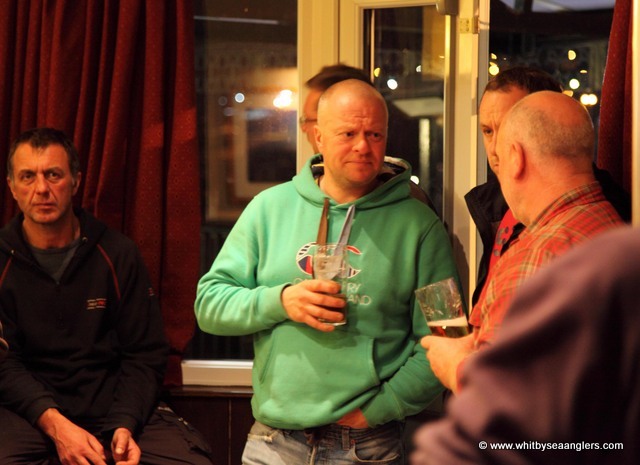 Many thanks to our hosts at the Fleece, Stormy & John Coulson, Whitby and to all our sponsors without whose generosity the event would not be such a success. 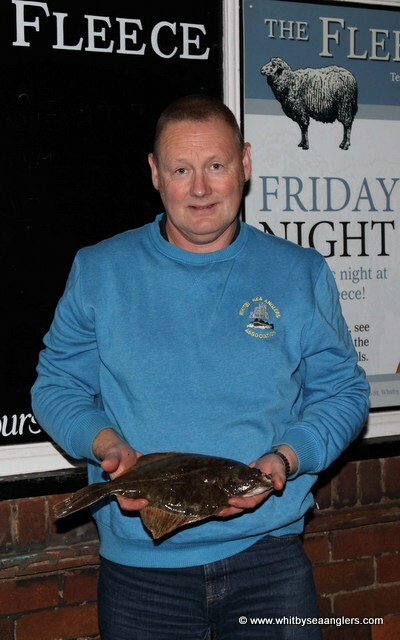 42nd - Alan Deleur, Darlington - 1 flat fish. 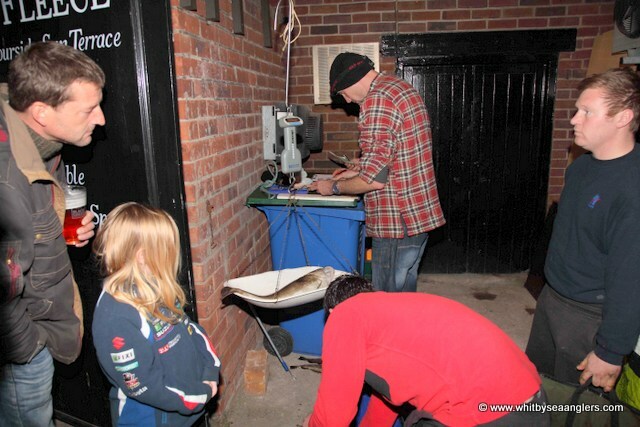 130 fish for 214 lb 15 oz - 83 codlings, 31 wrasse, 12 flat fish, 1 blegg, 1 billet and 1 bass. 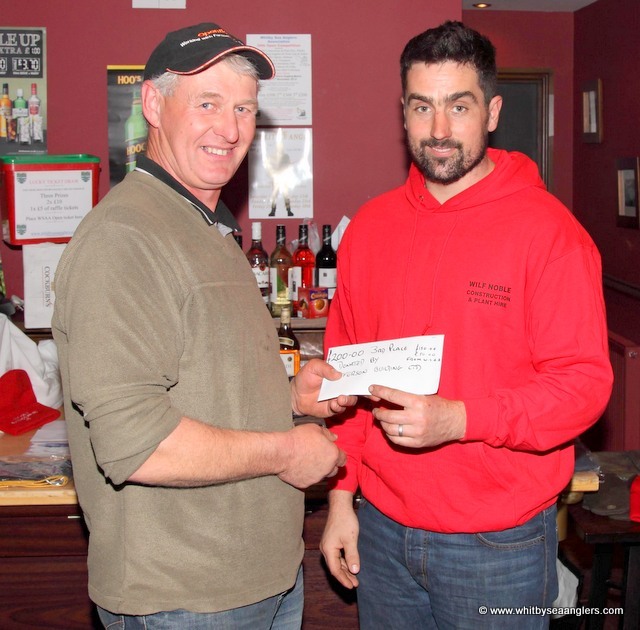 Pete Dunn receives £115 from James Noble of Wilf Noble Construction & Plant Hire, Ruswarp for Heaviest Fish Super pool - 6 lb 08 oz. 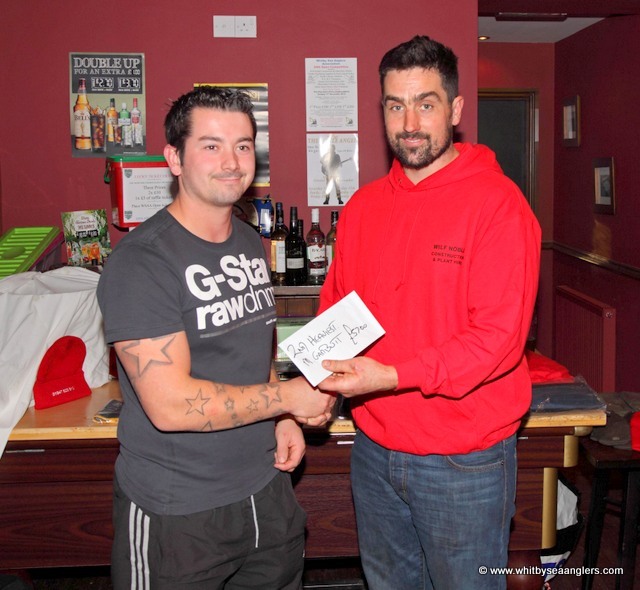 Matthew Garbutt receives £57 from James Noble of Wilf Noble Construction & Plant Hire, Ruswarp for 2nd Heaviest Fish Super pool - 6 lb 07 oz. 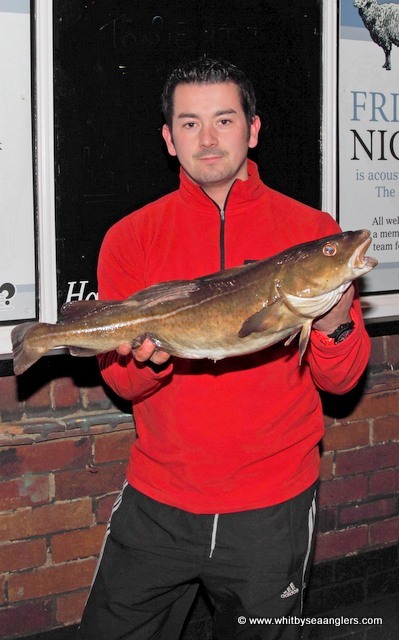 Matthew Garbutt second Heaviest Fish 6 lb 07 oz. 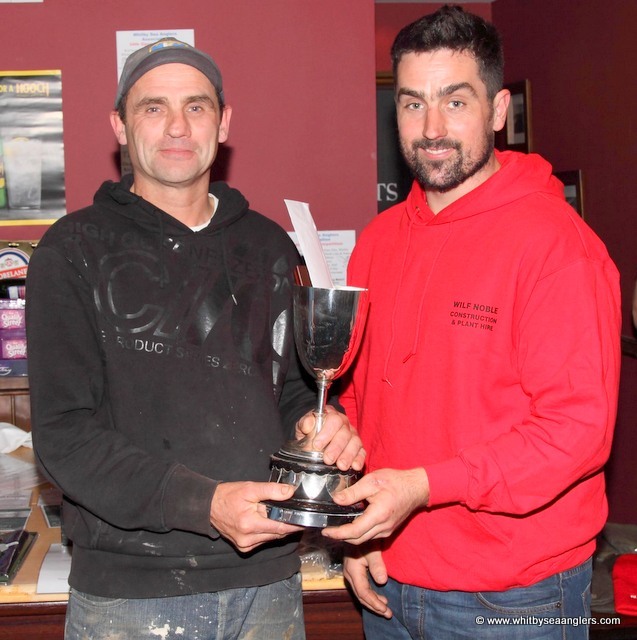 1st Place - £500 - Sponsored by Wilf Noble Construction & Plant Hire & presented by James Noble. 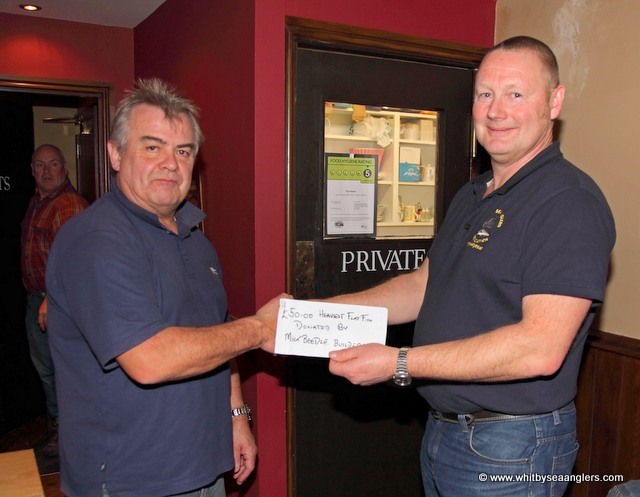 £25 last place - Mariondale Fisheries Robinhoods Bay. 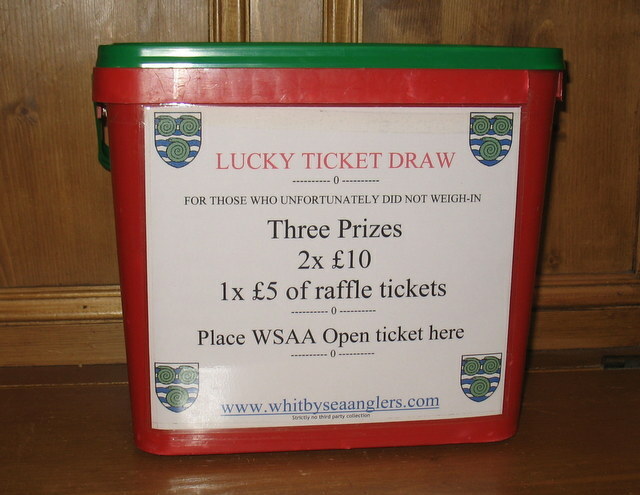 Also an assortment of fishing tackle and prizes donated by WSAA members. 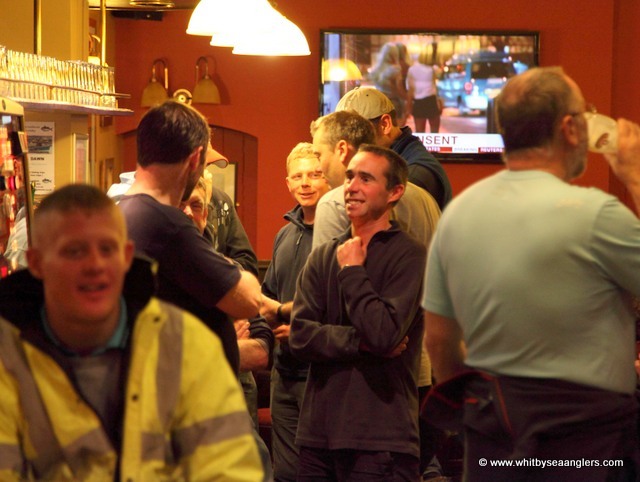 Many thanks to our hosts at the Fleece, Stormy & John Coulson, Whitby and for the 3 bottles of wine for the raffle. To all our sponsors without whose generosity the event would not be such a success. 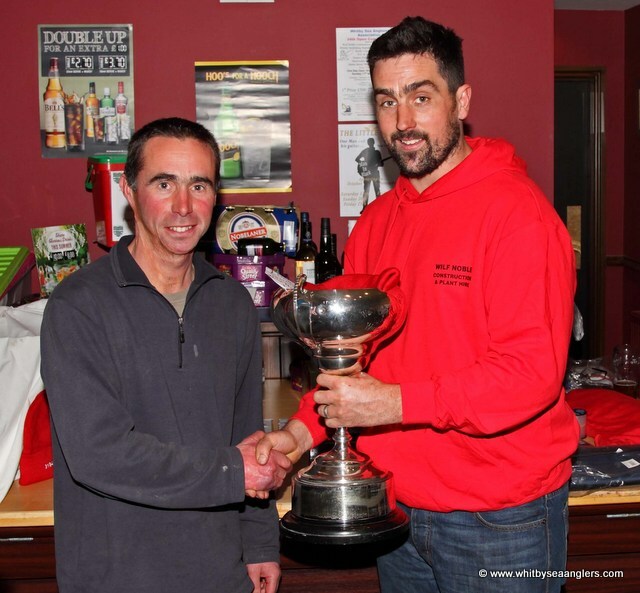 Many thanks to James Gilpin and Bernard Vasey for their work with the weigh-in, prize table set-up and raffle. Many thanks to Ben Laws for the catering which was very tasty and a request has already been submitted for the same at the WSAA Christmas Match, please. Many thanks to Colin Stainthorpe and Rob Allison for selling raffle tickets. 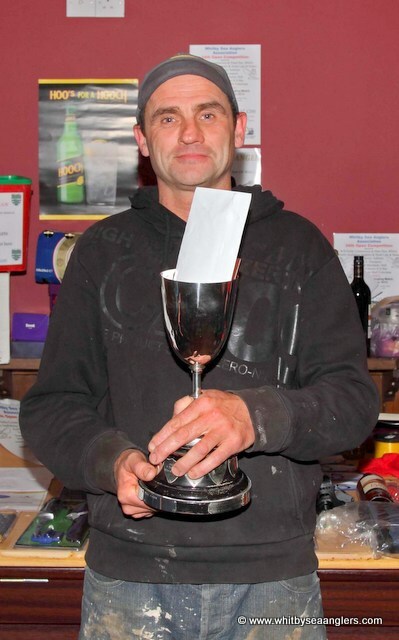 Many thanks to Dave Perrett, Club Treasurer for ensuring the prize table is organised and runs smoothly. 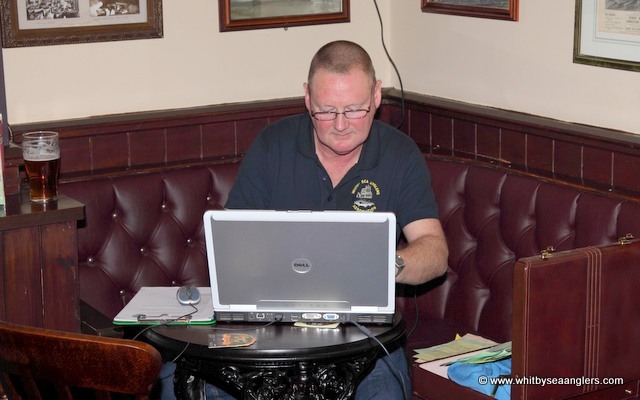 Many thanks to Richard Saltmarsh for taking the photographs. Top tip - to read the ‘top tips’ and ensure you take both sections of the same rod and not from two different rods as it’s a long drive home. Running concurrently with the Open Match was Match 14 of 49 for members. WSAA results:- 13 members weighed-in 33 fish for 58 lb 04 oz. 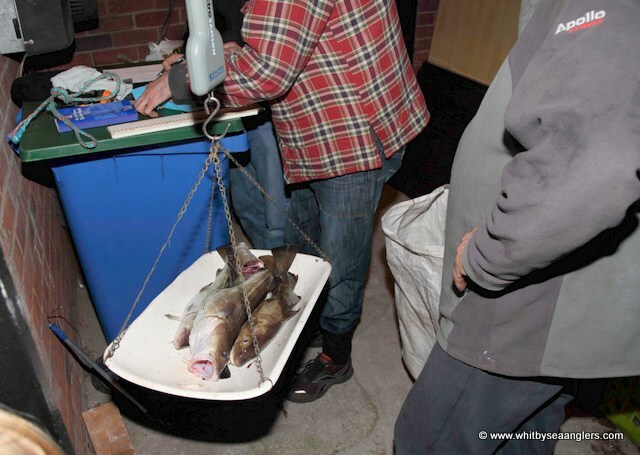 * Heaviest Fish takes preference in the event of also having Heaviest Bag, 2nd Heaviest Bag takes Heaviest Bag. Rob Allison 27 lb 06 oz - Wednesday 6th Oct. 2013. 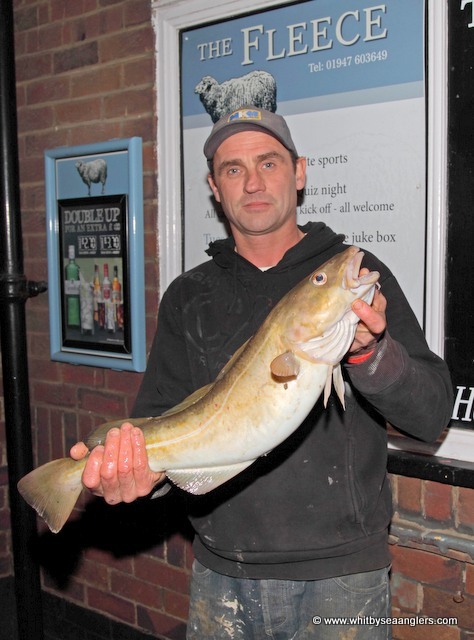 Colin Stainthorpe 6 lb 13½ oz - Sunday 3rd Nov. 2013.
fishing tackle and much more. 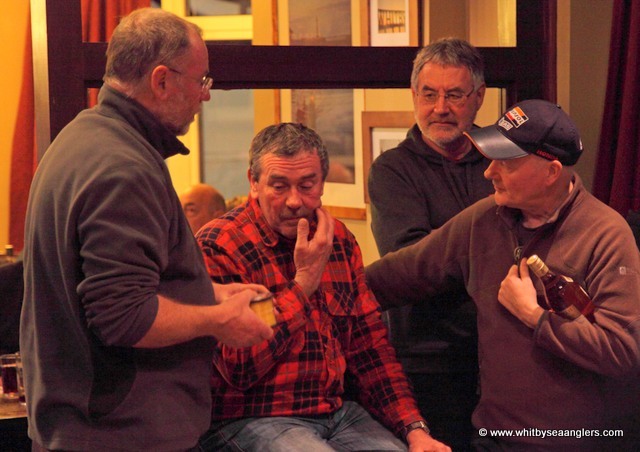 Special Prize for Last Place - £25 Sponsored by Mariondale Fisheries, Robinhoods Bay (this replaces the 'smallest fish' from 2012). Juniors Section - £100 - Sponsored by Rob Allison, Andrew Cass, James Gilpin, George Middlemas, Dave Hambley. There will also be cash prizes in the form of a Lucky Ticket Draw for those who did not weigh-in to the value of £25. 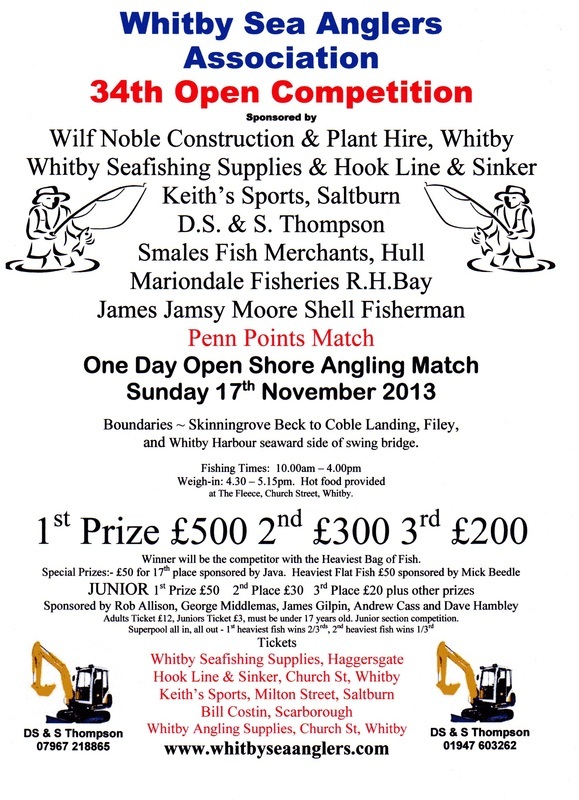 Sponsored by Mariondale Fisheries, Robinhoods Bay. 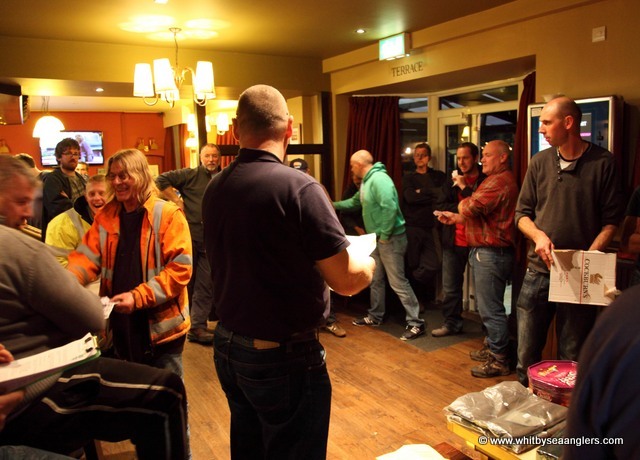 In the form of two £10 cash prizes and one of, £5 of raffle tickets. 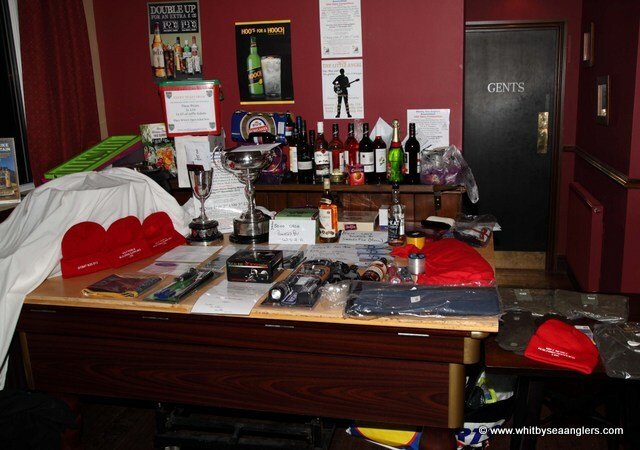 There will be a collection point (photo left) for those who did not weigh-in to place their Match entry tickets, the draw will take place during the prize giving, followed by a raffle. 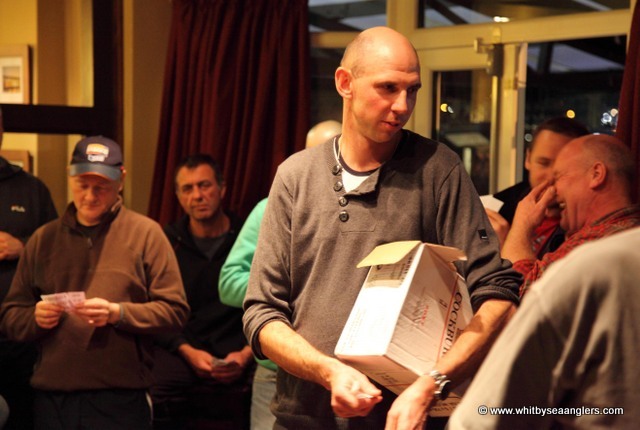 Please remember prizes must be collected in person as there is 'No 3rd party collection of any prizes'. Thank you & Tight Lines. 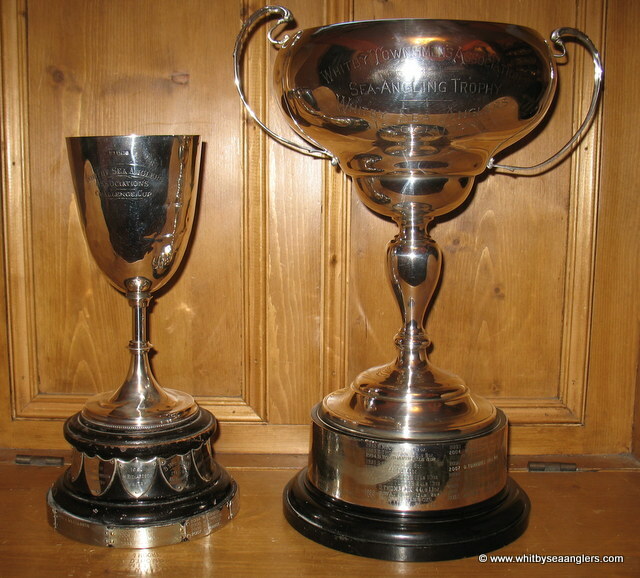 Open Trophies all polished and ready for 'your name'. •	No competitor can fish 90 minutes before the start of the match. •	Competitors can only use one rod for fishing at any time. •	Assistance may be given to cast out, gaff, lift, or land fish, but only competitors must strike and play fish for themselves. •	Only two hooks may be used at any one time or one twin point (no treble hooks). •	Juniors may only win the juniors prize unless they have a senior’s ticket. •	Juniors must be accompanied by a parent / guardian. 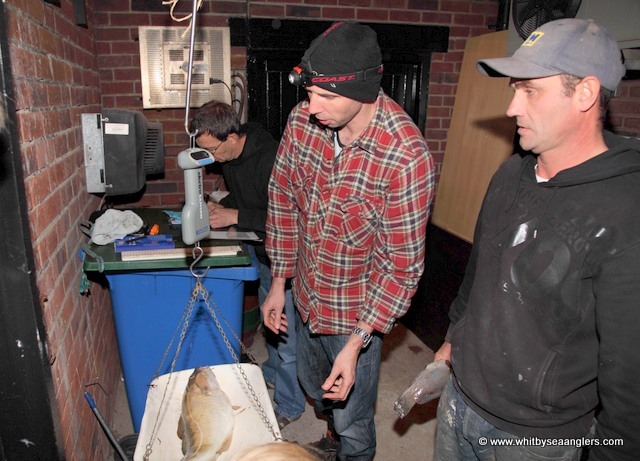 •	Fish presented at the weigh-in, must be retained ungutted and be available for examination up to 30 minutes after the weigh-in. 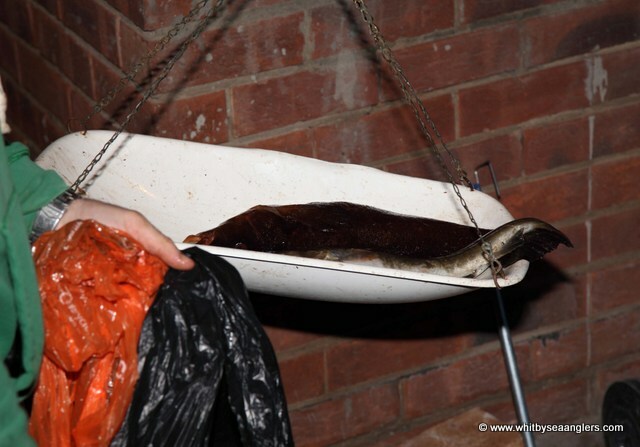 •	The following are not eligible to be weighed in: rockling, Rays bream, and lumpsuckers. 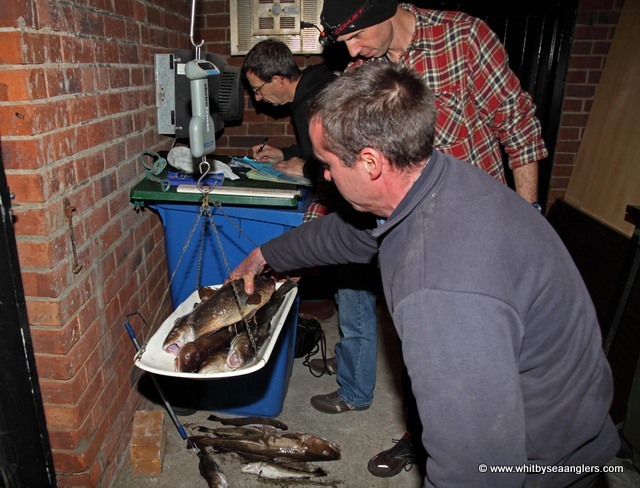 •	Size limits are: Codling, Coalfish 35cm, Eels 38cm, Bass 41cm, Whiting 30cm, Pouting 25cm, and Wrasse 35cm. If not referred to above, then 25cm. 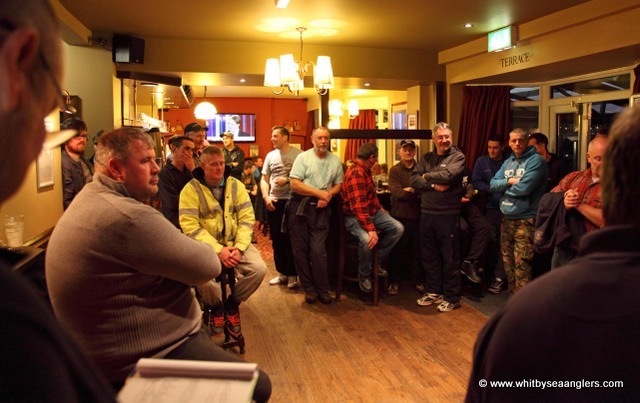 •	Any objections must be lodged with the officials during the weigh-in, or they will not be entertained. •	In the event of a dispute then the organisers will adjudicate and have the power to disqualify. •	Any angler in breach of the rules will be disqualified. •	Defaced or photocopied tickets will not be accepted by the weigh master. 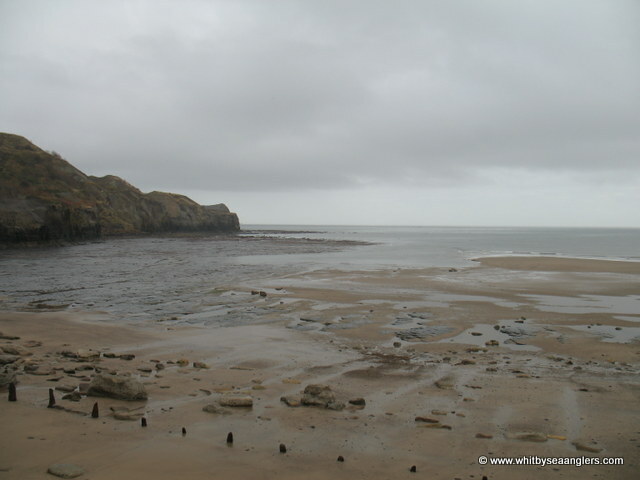 •	Boundaries ~ Skinningrove Beck to Coble Landing, Filey, and Whitby Harbour seaward side of swing bridge. 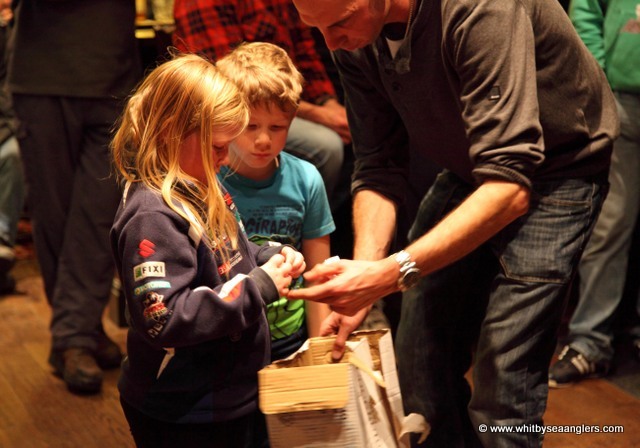 •	Prizes - STRICTLY NO 3rd party collection, to be collected in person.